Protester sets himself on fire outside Trump hotel in Washington, D.C.
A man set himself on fire in protest of President-elect Donald Trump at the Trump International Hotel in Washington, D.C., on Tuesday, Jan. 17, 2017. 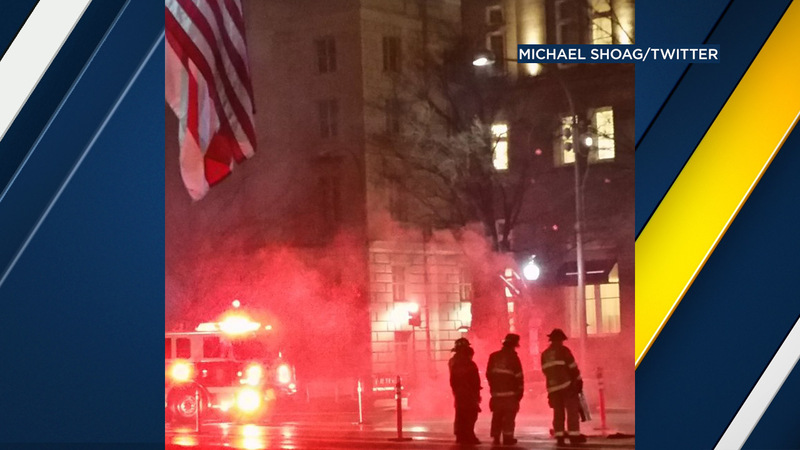 WASHINGTON D.C. -- A man protesting President-elect Donald Trump set himself on fire outside the Trump Hotel in Washington D.C. Tuesday night. WRC-TV reportsthe man said he tried to light himself on fire as a protest. In a video, the unidentified man says he was protesting the election of somebody who's "incapable of respecting the Constitution." Witnesses say the 45-year-old man used a lighter and accelerant and uttered Trump's name before bursting into flames. He was taken to a hospital with third-degree burns and is expected to survive.